The 42nd match of the Indian Premier League of the 11 season between Kane Willaimson's Sunrisers Hyderabad and Shreyas Iyer showcase why Hyderabad is the best team of the season. Iyer's men came to bat first and set a target of 187 runs in front of Williamson's Sunrisers. Well, Delhi gave a target of 187 runs to Hyderabad and that they chased it like a boss. Hyderabad defeated Delhi by 9 wickets and proved why the team deserve to be on the top of the standard list. Shikhar Dhawan became the man of the match. Delhi's young player Rishab Pant played a tremendous inning and made 128 runs from just 63 balls fetch the orange cap on his shining head. Well, no batsmen stood for long and played a disappointing batsmanship. SRH's Shakib Al Hasan took 2 wickets of DD, while Bhuvneshwar took a single one. "I think it was a brilliant total to get up to where we did. The way Rishabh carried on was extremely commendable. The pitch got better and better. It played a huge role. I think we didn't get that many opportunities. They played really good cricket. I think we didn't deserve to win this. It's going to be really important as a young side to keep togetherness. We will try to win our remaining games and boost morale. These games are a great learning process for playing for India in the future," Iyer said after the match. 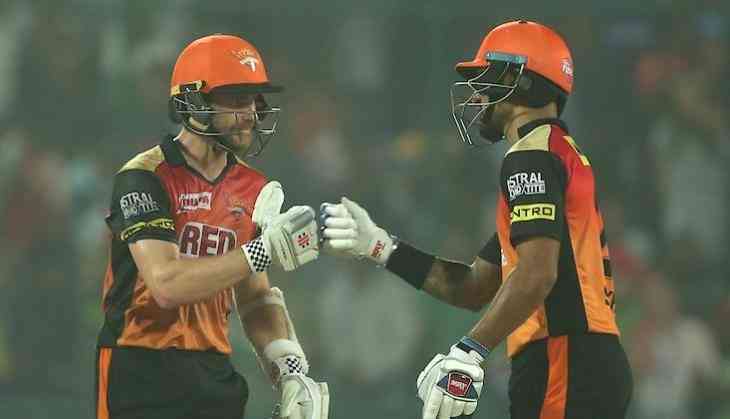 Sunrisers Hyderabad's star batsmen Shikhar Dhawan played marvellous unbeaten 92 in 50 balls and skipper Williamson played 83 runs not out in just 53 balls. Where Dhawan hit 9 fours and 4 sixes, Williamson hit 8 fours and 2 sixes. DD's Hershel Patel took the one wickets of SRH.